There is nothing more beautiful than Savannah in the springtime. With flowers in full bloom and the warm summer air filling the streets, there is no better time to visit Savannah Georgia than in the spring. Whether you want to see all the sights or just relax, you are sure to have the perfect time in Savannah Georgia, this spring. We, here at the Presidents’ Quarters Inn, want you and your family to have a wonderful time in Savannah, Georgia, this spring. Read on to find out about our favorite things to do in the area. 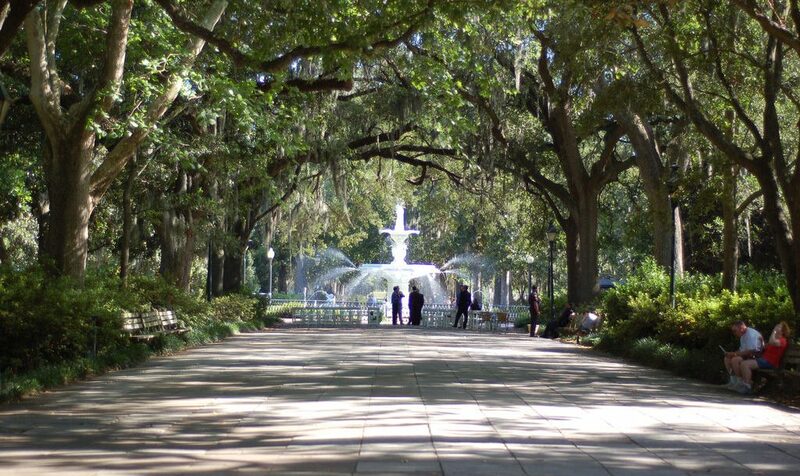 One of the prettiest sights in Savannah is just a short walk away from the Inn. 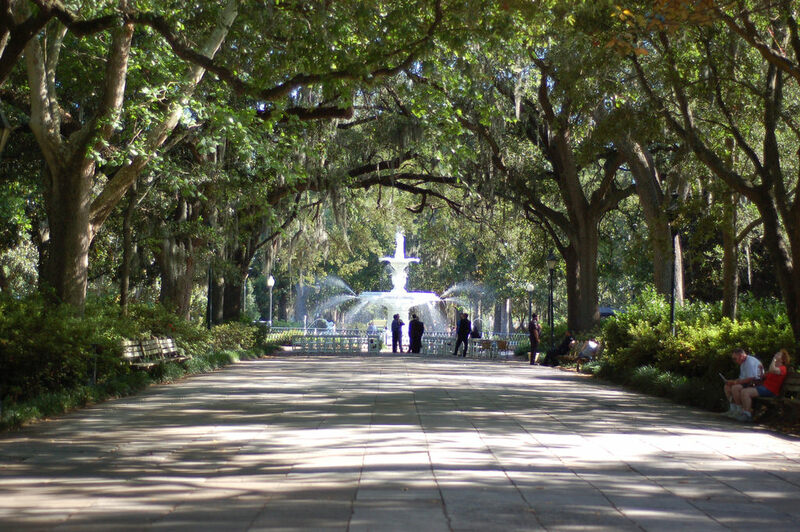 Forsyth Park, located in the historic district of Savannah, is a must-see when in the area. This 30-acre park is a gathering place, which bustles with activity throughout the entire year, especially in spring. With a variety of events, from concerts to recreational sports, there is always something happening in the park. At the north end of the park sits the famous Forsyth Park Fountain, which was built in the mid 1800’s. One of the largest musical arts events in Georgia, the Savannah Music Festival celebrates many different genres of music, from folk to classical to jazz and so much more. When you come to visit Savannah Georgia, you are sure to have a blast at this wonderful event. Locals and visitors alike gather at the festival to enjoy world-class music and learn more about Savannah’s rich heritage. This wonderful event will be featured in Savannah from March 19 through April 4. Experience the best of Savannah, Georgia, this spring on an Old Town Trolley Tour of the city. The hometown conductors will make your time aboard the trolley fun and memorable. Learn about the rich history of the city while viewing stunning natural beauty and magnificent architecture. Travel back to another era aboard an Old Town Trolley Tour of Savannah. This is one thing you don’t want to miss out on during your time in Savannah, Georgia, this spring. Celebrate the holiday Savannah style! One of the most popular and well-known festivals in the region, the St. Patrick’s Day Celebration is a massive event with approximately 350 floats and marching units participating in the parade. Featuring live music, scrumptious food and so much more, there is something for everyone at the festival. Be sure to wear green! 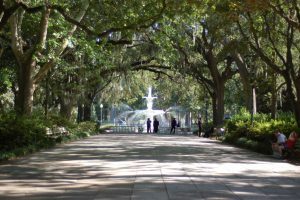 Now that you know about all the fun things to do in Savannah, Georgia, this spring, it is time for you to plan your trip to the city! The Presidents’ Quarters Inn offers a selection of lovely rooms and suites, which are all elegantly decorated to match the southern charm of the city. Before you head out to one of the many activities listed above, the Inn will provide you a signature gourmet breakfast. You can book your stay today to help ensure that you will have an unforgettable trip to Savannah, Georgia, this spring. We can’t wait to see you soon!